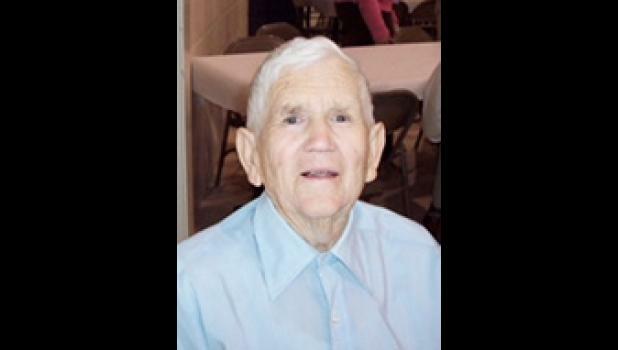 Thomas “Tom” Daniel Johnson, 87, widower of Elsie Bearden Johnson, went home to be with the Lord on September 4, 2018. Surviving are two sons, Danny Johnson and Doug Johnson (Joy) all of Greer; five grandchildren, Rylan Johnson (Kayla) of Greer, Dillon Johnson of Pelzer, Cory Johnson of Honea Path, Kimberly Root (Ryan) of Belton and Kyle Johnson of Greer; two step-grandchildren, Stacey Norris (Russell) of Charlotte, North Carolina, and Michele Lemmons of Greer; two great-grandchildren, Caroline Belle Johnson and Ava Marie Johnson; and three step-great-grandchildren, Addison Norris, Alex Norris and London Dooley. Funeral services will be held at 11 a.m. Saturday, September 8, 2018 at Hillcrest Baptist Church, conducted by Pastor Paul Manous. Burial will follow in Wood Memorial Park. Pallbearers will be Cory Johnson, Kyle Johnson, Rylan Johnson and Dillon Johnson. Visitation will be held 6-8 p.m. Friday, September 7, 2018 at The Wood Mortuary. In lieu of flowers, memorials may be made to Hillcrest Baptist Church, 111 Biblebrook Drive, Greer, South Carolina 29651. The family would like to extend a special thanks to the staff of National Health Care, Greenville and Caris Hospice for their loving care.